Most of what follows is true . . . It was southwest Oklahoma, springtime 1994. 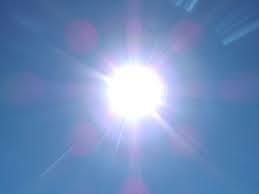 The sun was a blazing scorcher in a crystalline blue sky. It was hot and dry. In the morning hours the thermometer had crept through the seventies and by mid-afternoon was rising up past ninety. We had a lovely room in the lodge at Quartz Mountain State Park. We were there for the Midwest Conference Pastors/Spouse Retreat, and we desperately needed to be encouraged in ministry. Anita and I were serving a dying church in Dallas Center, IA—corn and soybeans grew to the edge of town, encroaching on back yards in some neighborhoods. It was a place sequestered in the past while the present rushed by all around it. In our sojourn at Dallas Center, I’d learned about the wickedness of short pants and the wondrous spiritual benefits to be realized by having buttons instead of zippers in one’s trousers. The education was quite enlightening in the whys and wherefores of legalism. Somewhere, many years earlier, human-centric reasoning on the concept of holiness had gone haywire, which resulted in tragedy. Legalists snuffed the life out of what had been a thriving congregation, leaving behind a skeleton that refused to be buried. Like medieval maps proclaiming the presence of dragons, there ought to have been a warning on the territory west of Des Moines: Here There Be Bonnets. Religious pride was in full attack mode, and we were refusing to surrender an inch. The gathering of the Midwest Conference pastoral team for a time of refreshment couldn’t have been scheduled at a more appropriate time. It was a necessity for our mental and spiritual health. A few days before the retreat, we’d met everyone at the Annual Meeting. 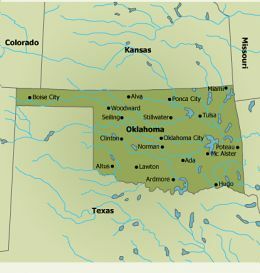 Being born north of Lake Erie, and having crossed a branch of the Canadian River to get to that region of Oklahoma, I’d cracked wise about being the advance scout preparing to manifest Canada’s destiny. None of my new American friends thought it was particularly funny. Oh, well. Anita struck up a friendship with Beth, while off elsewhere, I’d connected with Stan. As it turned out Stan and Beth were married. Stan was a long, lean cowboy from Abilene, KS. In the old west he’d have been the last guy at the campfire every night because there’d always be one more saga to rehash or another way to appraise a thorny issue. Beth was a prankster full of a vibrancy that could be contagious. She had rosy cheeks and a smile that never faded. The interaction between the two of them was often punctuated by laughter. They were a pair of individuals who truly believed that ministry was supposed to be fun. After lunch, the four of us set off on a buffalo hunting expedition. Actually to be zoologically accurate, we were in search of the American Bison, but let’s be honest here. 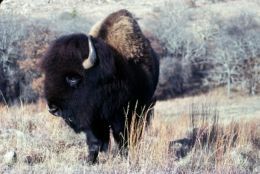 Everyone knows the great beasts as buffalo. We were in a four-door Chevy Lumina. It was a rental car, which considering the accident we were soon to experience, was a good thing. Stan kept up a constant play by play about the countryside as he drove, with Beth offering snippets of complimentary color commentary from the passenger seat. Anita and I were simply enjoying the company, the ride, and the ruggedly beautiful desert scenery. 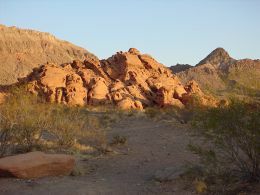 It was wild and weathered country, with outcroppings of rock that are akin to appendages growing out of the ancient mountains. 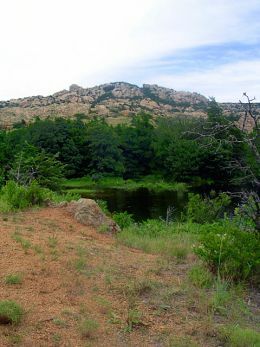 The Wichita Mountains Wildlife Reserve is a vast expanse of nearly 60,000 acres. We entered it in an area that was rolling grassland broken by patches of rocky red soil. 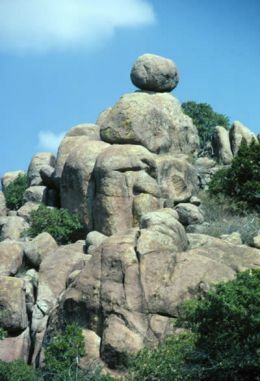 There were rough-hewn boulders standing strong and tall at regular intervals, like ageless sentinels watching over their realm. Stan was cruising at a slightly elevated speed in a hurry to where he was positive there’d be buffalo roaming free. At the peak of a steep incline we could see a narrow bridge at the bottom. It wasn’t actually a one-lane structure over a deep gulch, but it certainly would never accommodate two vehicles passing in opposite directions. Let’s say it was a lane and a half wide. Coming across it—as we descended the hill at a rapid pace—was a large truck with stump-pulling apparatus mounted on its bed. We arrived at just the right time to whiz past as it exited the bridge. That’s when we spotted what would prove to be trouble. There, smack-dab in the middle of the roadway, was a clumpy mound of what appeared to be harmless clay. Take note that it appeared to be harmless clay. There was no room for Stan to steer around it on the left or right. He slowed and centered the car to straddle it. The distance didn’t allow him to slow enough. We hit it with a jarring thud that at first scraped then lifted us up and over. The car bounced and our heads hit the ceiling. Gasps, exclamations, and laughter filled the air. “Oh, boy! We’ve sprung a leak,” Stan said, eyeballing the rearview mirror. “What?” we asked as one voice. “We have to pull over,” he replied flatly. We all strained to see what he saw in the mirror. A steady stream of fluid was laying down a trail behind us. There was a clearing at a Y-intersection. Stan eased the vehicle off the road. We piled out, but even before we did, the odor of gasoline was strong in our nostrils. Stan was down on all fours gawking at the damage. Gas was spurting out and splattering on the hard ground as though it was being shot out of a high pressure hose. We looked back and forth at each other. What were we going to do? We were in a hollow bottom surrounded by sloping hills. There were no signs of help anywhere. Stan strolled to the middle of the Y-intersection, searching the surroundings in all directions. I half-walked, half-jogged back to examine what we’d hit. What appeared to be a harmless clump of clay was a solid rock covered by a dusting of dirt. Perhaps it was a broken fragment of one of those ageless sentinels guarding its turf. If so, it exacted its revenge for our trespassing. We were standing together on the side of the road, attempting to formulate a plan. If we had a map we might’ve known what was over the crest of the hill off to the left or the right. As it was, what lay beyond the curves ahead were unknown. Behind us, it’d be a good five-mile hike back to the trading post, the last place we’d seen anybody. The truck, from which the boulder we’d struck had obviously fallen, was long gone. We looked at each other and did a collective shrug. Prayers were whispered. Ideas on which direction to go were offered, debated, dismissed, then revisited all in the space of a few fast-paced moments. Surprisingly, just over five minutes after the gas-tank or gas-line puncturing incident, a Park Ranger’s truck approached from the hill on the left. Stan was waving wildly in the middle of the intersection, which was quite laughable, since there was no way the driver could miss us. Information was conveyed as to the situation, and then, the Park Ranger was on the CB Radio barking out instructions. Faster than imaginable, a half-dozen vehicles descended on the scene, each carrying a pair of workers. They deployed, surmised the need, and jumped to it with an efficiency that was mind-boggling. A blue-steel basin was taken out of the box of one truck. It had the look of an over-sized bedpan, kind of like one the Jolly Green Giant would have to use if he was ever hospitalized. It was slid under the Lumina, where the gas was still flowing freely. Meanwhile, another pair of workers produced a bottle of what resembled one of those STP gas treatments. It was a chemical sealant—and considering how swiftly it worked, it must have been some industrial strength grade. Mere seconds after it was poured into the gas tank, the gush of fuel into Jolly’s bedpan ceased. The Lumina was put into neutral and pushed a car length forward. A lid was put on the blue-steel basin and it was lifted into the back of the pick-up it had come in. 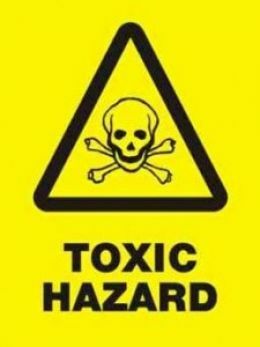 From the box of another truck, bag after bag of glorified kitty litter was unloaded and spread over the pool of gasoline seeping into the ground. All this time, Stan was sitting in the cab of the truck with the Park Ranger who’d been first to arrive. He had to fill out an accident report and also, a special form that’d be filed with the EPA because gasoline was classified as a toxic spill. 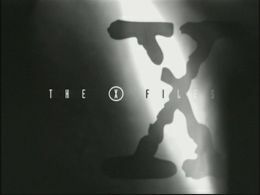 It’s kind of scary that our buffalo hunt raised the hackles of a Federal agency; even more frightening to consider that a document about it could be stored away in some electronic basement in Washington, like an X File awaiting a later-day Fox Mulder to investigate it further. When he completed all the paperwork, Stan used the Park Ranger’s big, handheld radio-phone to call the rental car company. The closest office was an hour or so away. Yes, they’d send a replacement vehicle and retrieve the damaged Lumina. Only one problem; all that location had available was a two-door Ford Probe. Would that be okay? Okay, okay? Are you kidding? Well, yes of course it will be okay. We haven’t got much choice, do we? After all, we’re the ones stranded here, right? Glorified or not, the saturated kitty litter got raked up, scooped into garbage bags, and tossed in the back of a pick-up without any liturgy or fanfare. Then a fresh carpet of the stuff was put down and someone pronounced satisfaction with a job well done. Hands were shook. Thanks given and expressions of wonder at how rapidly the rescue and clean-up task was completed. The delinquent rock from the bridge was cleared away, and then, with waves and best luck wishes, the multiple pairs of Park Rangers disappeared as swiftly as they’d appeared. The four of us were left to marvel at it all. It was as though the entire crew had been sitting around geared up, ready and waiting for a pool of gasoline to be spilled in their jurisdiction. Someone made a comment about black helicopters and we all laughed. Then we got busy waiting. The rental car company had informed Stan it’d be three hours or more before the Ford Probe would be delivered. All of a sudden that news sank into us and we wondered what we were going to do to pass the time. We had no canteens of water or anything stashed in the Lumina to drink. There was a tall shade tree near a rail fence twenty yards or so away from the road. We settled in there, with Stan and me perching on the fence, and the ladies resting on a soft bed of thick grass. The entertainment was exceptional. We regaled each other with one tale after another, realizing pretty quick that between us we had quite a repertoire. If a lull occurred in the storytelling, our wives would remind one of us of this or that sermon illustration, or a ministry situation that had some exceptional hilarity. The sun was the proverbial bloodshot eye of God, watching over us as it slowly eased its way toward the western horizon. It was halfway to its destination as the heat shimmered against the bluest sky I’d ever seen. After an hour or so, Stan was pacing a bit, moving with animated energy. He was jawboning a meticulously detailed antidote. He kept pausing at strategic intervals for dramatic effect. Each time he stopping talking, he cast his eyes over my shoulder, squinting at first, then a bit more wide-eyed. “See for yourself,” he answered, pointing in the direction he was staring. I slid off the fence and turned to follow his outstretched arm. Three large birds were silhouetted on the bright blue canvas of the sky, flying in a tight circle. There was something ominous about their presence. “Buzzards,” I offered, dry-mouthed and raspy. “Turkey Vultures?” I asked, frowning back at him. The ladies came and stood beside us. We watched the big birds, encased in an itchy silence that grew louder with each passing moment. 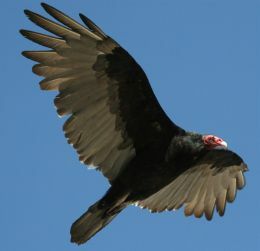 The buzzards lazed toward us, making their approach deliberately. The heat was hot; our thirst real. Tension cranked itself up and set imaginations loose. The carrion eaters had our complete attention. We were on their radar. It was as though they were on a pre-planned flight path. When I first saw them they were soaring high in the sky north of us. There was no mistaking their intent. Each circle they made brought them lower and closer to us. They were zeroing in to check on the status of their next meal. The bloodshot eye of God stared at us, now seemingly mocking our predicament. The rough-hewn sentinels, on guard since time began, made no moves to assist us, but rather, there were whispers of laughter in the breezeless air. We were like statues, numb from the heat and slightly addled. When the buzzards were fifty yards away they abruptly dropped to less than twenty feet off the ground and formed a spread out odd-shaped triangle, like an arrowhead aimed at us. It was then that wisdom reared up. “We better move!” Stan exclaimed, his voice hoarse and husky. “Let’s start making some noise to let those buzzards know we got some life left in us.” With that we all started shouting and stirring up a fuss. We waved our arms and kicked dust, bellowing surly sounding, but meaningless phrases at them. The determined, red-headed birds didn’t flinch or waver from their course. They flew directly over us; we could clearly see their beady little eyes checking us out. Their closeness and massive wingspans were truly intimidating. Beastly grins were plastered on their repulsive faces. The wrinkly skin covering their skulls could be mistaken for open wounds seeping out of black feathered bodies. They progressed past and then flapping heavily, began a rapid ascent toward the top of the sky. Apparently they’d decided that we’d not be done like a dinner any time soon, so they were off to find something dead to feast upon. We danced around triumphantly, laughing so hard that tears stained our sweaty cheeks. We’d been buzzard bait, but escaped with flesh and bones intact. There’s stark irony regarding the proximity of a Ranger Station, but for the sake of this narrative it’s unnecessary minutia. Suffice it to say that at this juncture, the storyteller has chosen to gloss over that bit of information, thank you very much. The sun was getting ready to blink goodnight by the time a flat-bed tow-truck arrived with the Ford Probe. Long shadows from the ring of hills around us were stretching their graying fingers. The sky was still blue and bright, but off in the west, pretty colors were reaching up to receive the sun in their embrace. 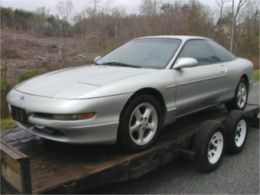 The Ford Probe was unloaded, the Chevy Lumina towed into place and locked down on the flat-bed. Stan signed a series of papers—everything in triplicate it seemed, then the truck driver got into the cab and off he went, driving away from the setting sun. We did a tentative reconnoiter of the Probe. There were four of us, two doors and an inadequate amount of room in the backseat. To say it was a challenge to get us into the vehicle would be an understatement. It required the gymnastic skills of world-class contortionists and since none of us possessed that flexibility, cramping and pain was involved. Once we’d accomplished cramming four adult human beings into a sporty coupe designed for two, we were on our way. We stopped at the Ranger Station, which when truth is told, was just over the crest of the hill off to the left. Likely less than a half-mile from where we’d spent hour after dry, dusty hour. We tapped kidneys, refreshed ourselves, and drank our fill of water; we also called the lodge at Quartz Mountain to let our group know that like sheep we’d gone astray, but now were found and on our way back. With great hesitation and grumbling, we then went through gyrations to once again get situated in the car. I went first, winding up on my left side slanting across the backseat. My head was twisted at an odd angle that gave me a grand view of the lovely roof. Anita followed, being much more petite, she slipped under my uncomfortably bent legs. Her knees were jammed into the back of the front passenger seat. Both bucket seats were pulled as far forward and tilted as upright as possible. Beth was pressed against the dashboard, with her face scant inches from the windshield. Stan’s legs were folded up so that his knees were rubbing either side of the steering wheel. He was spending an inordinate amount of time adjusting mirrors and such. “Let’s go,” I grouched, jabbing the back of his seat. The engine purred, he slipped it into gear, wondering aloud as we started out how he was going to be able to drive. We told him to put a cork in it and try not to hit any more rocks. A mile and a half later—maybe even less—Stan spotted a buffalo and all excited, pulled over to the side of road. “Look at it, look at it,” he said, cackling loudly. “I can’t see it,” I replied, craning my neck. Stan backed the car up and maneuvered it to a different angle. I twisted around so my eyes caught a corner of the window, and there it was, a lone buffalo chewing its cud less than ten feet away. I kept my eyes leveled on it for about a half-minute then shifted to keep up a vigilant surveillance of the roof. “Okay. Now I’ve seen a wild buffalo. Let’s get out of here,” I demanded, none too cheerily. Chuckles snorted out of everyone. Despite the all around discomfort of the ride, we had fun replaying the events as we returned to Quartz Mountain. There’s a plotline to this tale involving wild dogs which was cut in an arbitrary act of editing. Stan tells that vignette best, so you’d do well to track him down and hear his eyewitness account. You’ll find him on a good horse riding the range outside of Abilene. I still have the souvenir of that little plastic buffalo—a lone buffalo—to remind me of an infamous expedition in southwest Oklahoma in a previous century.